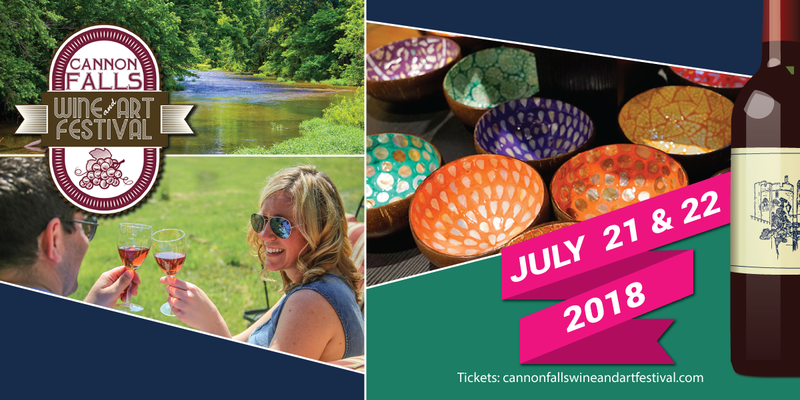 Wine tasting is only part of what makes this a fantastic summer event! Over 80 wine, food, and art vendors! 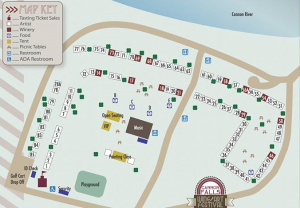 While the Art Festival is free to attend (parking is free as well), one aspect that makes this festival unique is that it includes wine sampling, AND you may also purchase bottles to take home — an excellent opportunity to both try and buy wine from locations all across the state, that would otherwise be impossible to visit all in one day — or even two! 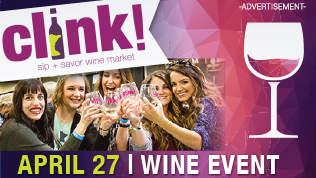 Tickets must be purchased for wine sampling (and to shop the wine market). $25 includes 10 tastings, or $35 for 15 wine tastings. Both options include a commemorative take-home wine glass. If you’d prefer not to participate in wine tasting, wine is available by the glass and beer from other vendors onsite. Want to go for free? Read on for your chance to enter to win a pair of tickets— plus, everyone who enters will receive a coupon for $2 off/ticket. Wine, wine wine! 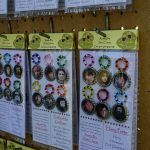 Lots of hand created items from glasses to glass holders, charms, and more! 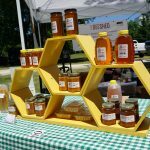 Lots of tasty treats from locally produced honey to small batch artisan baked goods, roasted nuts, and kettle corn. Home decor made from wine barrel staves. The Bee Shed – Honeybees conspire with prairie and woodland flowers to combine the energy of the sun and the minerals of the earth into the perfect natural energy source – Honey. Lawrenz Jewelry (Northfield, MN) creates unique and limited-edition jewlery using up-cycled components and found objects. 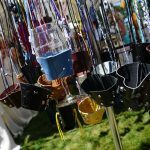 Garden Designs & Sculptures is another festival favorite, with metal garden art hand-created by artist Jose Quiroz, in all shapes and sizes. Adorable dog (and other animal-themed) tableware by artist Tami Anderson of Z Art Designs (Minnetonka, MN) melts hearts, and makes everyone smile! 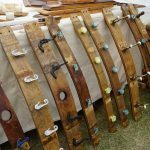 Luvy Rapp is a barnwood artist local to Cannon Falls, and will be bringing his fabulous birdhouse creations. Sara Werzel with Auntie B’s wax brings a fine line of hand-poured candles in fantastic fragrances.. 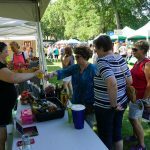 It wouldn’t be a Minnesota festival without tasty local fare..
Ruhland’s Strudel Haus bakes on-site handmade sweet and savory strudels with crust so flaky it melts in your mouth. White Oak Fired Pizza has crust so crisp and light you’ll want to polish off the whole pizza yourself. White Oak Pizza’s mobile pizza truck brings handmade wood-fired pizza onsite to the festival! While admission to the festival is free (and parking is free as well), you must purchase tickets for wine tasting: $25 includes 10 tastings, or $35 for 15 wine tastings. Both options include a commemorative take-home wine glass. If you’d prefer not to participate in wine tasting, wine is available by the glass and beer from other vendors onsite. 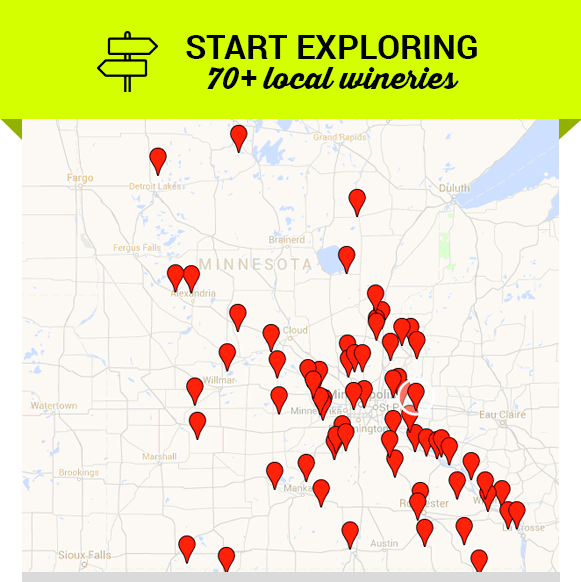 Wineries & Cideries – More to come! Hannah’s Bend Park is located just 30 minutes South of Saint Paul at at N 9th St., Cannon Falls, MN. 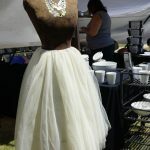 You can also visit the Wine & Art Festival’s website at www.cannonfallswineandartfestival.com.